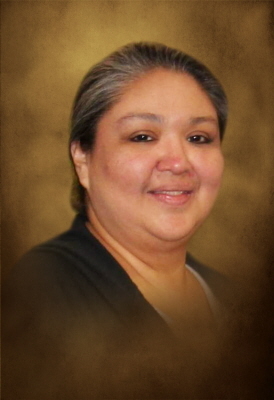 A funeral service to honor and celebrate the life of Robin Leann Beaver-Herilla will be held 10:00 AM, Wednesday, April 10, 2019 at Big Cussetah United Methodist Church in Morris, Oklahoma. Robin passed away with loving family by her side on April 6, 2019 in Tulsa, Oklahoma, she was 45. The family will receive friends for the viewing and visitation from 5:00 PM to 8:00 PM Tuesday, April 9, 2019 at Schaudt's Glenpool Funeral Service Chapel. Robin was born in Tulsa, Oklahoma on November 6, 1973 to Robert Perry and Mariam (Bruner) Beaver. A graduate of Jenks High School, Robin loved math and studied Mathematics at Purdue University. Robin was adventurous and enjoyed a good story. She resided in Logansport, IN, Rochester, NH, Durango, CO, Riverside, CA, Topeka, KS, and Shippensburg, PA before returning to Oklahoma to make her home in Jenks. She loved garage sales, roller coasters, and skydiving; she especially enjoyed getaways to Silver Dollar City in Branson with her family. A long time employee at River Spirit Casino, she made innumerable friends and memories during her nine years there. Most of all, she loved her family, especially her daughter Kynnedi. Robin’s survivors include: her spouse, Brian Gibson and their daughter, Kynnedi Gibson; her mother, Mariam Beaver; her brothers, Brant Beaver, Brent Beaver, Del Beaver and his wife, Rhonda, and their three children Isaiah, Olivia, and Adele; and a host of aunts, uncles, and cousins. Her father, Robert Perry Beaver, preceded her in death. Arrangements are entrusted to Schaudt Funeral Service. Family and friends may send memories and condolences to the family online at www.schaudtfuneralservice.com. To send flowers or a remembrance gift to the family of Robin Leann Beaver-Herilla, please visit our Tribute Store. "Email Address" would like to share the life celebration of Robin Leann Beaver-Herilla. Click on the "link" to go to share a favorite memory or leave a condolence message for the family.